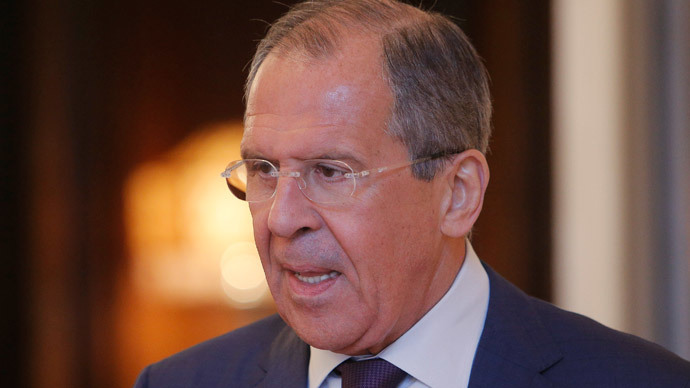 The Ukrainian crisis is a natural result of the West’s expansion of its influence eastwards at the expense of Russian interests, Foreign Minister Sergey Lavrov said. This stance ruins a historic chance for a unified continent. The turbulence in Ukraine is reminiscent of the violence and bloodshed that Europe experienced in the 20th century, Lavrov told a security conference in Moscow. 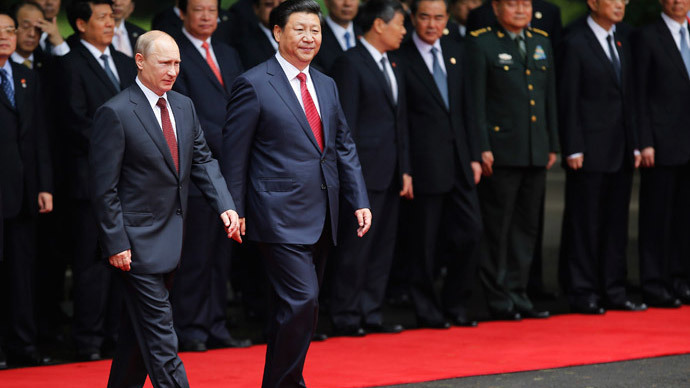 The West ignored Russia’s calls for cooperation and would not pursuit a challenge of bringing together different integration projects in Eurasia. Instead it was forcing nations historically close to Russia to choose between the East and the West. “With Ukraine’s fragile political situation, this pressure was enough to trigger a massive crisis of statehood,” Lavrov pointed out. 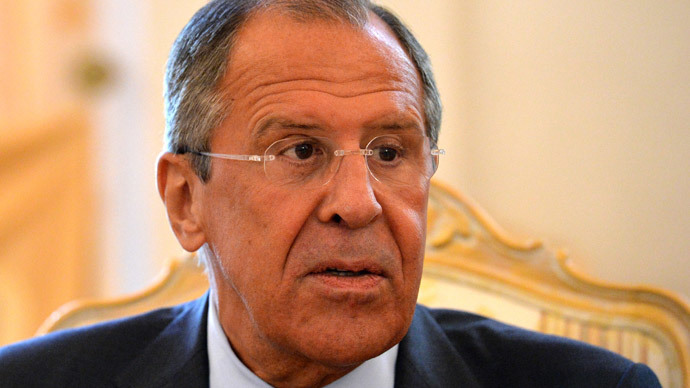 But Ukraine is just one example of the destructive results that Western foreign policies bring, Lavrov said. “The operations to change regimes in sovereign states and the foreign-orchestrated ‘color revolutions’ of different brands produce obvious damage to the international stability. The attempts to impose one’s own designs for internal reforms on other peoples, which don’t take into account national characteristics, to ‘export democracy’, impact destructively international relations and multiplies the number of flashpoints on the world map,” he continued. The problems in Ukraine, Syria, Afghanistan and many other countries can only be solved through collective effort, and Russia stands for joining forces in tackling issues. A collective effort resulted in resent advances on the Iranian nuclear program and launched the dismantling of the Syrian chemical arsenal, Lavrov said. Meanwhile unilateral attempts to resolve the Arab-Palestinian conflict proved to be deficient. Lavrov stressed that a polycentric system of global security, in which parties respect each other’s interests, cultural differences and the right to self-determination is needed to build a just, safe and democratic world. The foreign minister was speaking at an international security conference in Moscow, which brought together some 30 officials, military officers and experts from more than 40 countries, including China, India, Pakistan, Egypt, Iran and Belarus. The Russian capital is hosting the event for the third time. 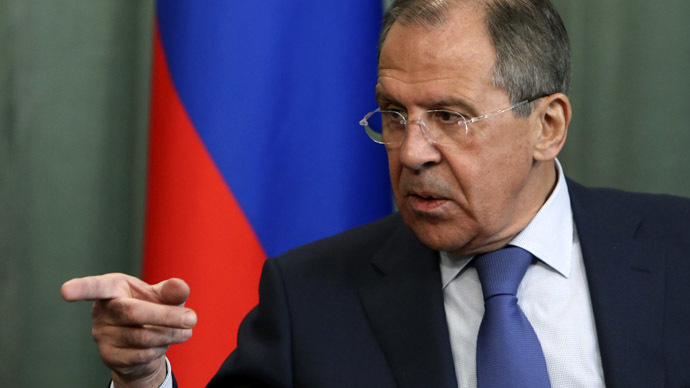 Lavrov’s condemnation of color revolutions as an instrument of hostile international politics was mirrored by the Russian military at the conference. Defense Minister Sergey Shoigu said the Ukrainian crisis is the latest example of such a revolution, and it follows the global trend for them to become more violent. Shoigu added that the scheme for fanning an internal conflict used in Ukraine is applicable to many countries, and Venezuela, “where the legitimate government is being opposed by a so-called democratic opposition fuelled from abroad,” appears to be a victim of the same approach. 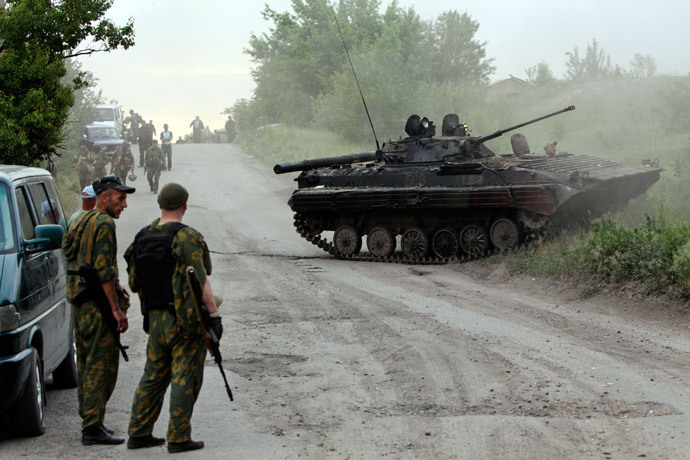 But unlike the color revolutions of the 1990s and 2000s, which were relatively bloodless, the latest generation of such operations increasingly resembles military invasions, the Russian minister stressed. Now color revolutions lead to long-term destabilization rather than the simple regime change that the forces triggering them initially aim at. Meanwhile the head of Russian General Staff Valery Gerasimov accused the United States and its allies of initiating most of regional conflicts in recent history. “The US cannot stomach the formation of new centers of power,” he stated. That’s why it uses a wide arsenal to ramp up regional tension, including unilateral sanctions, aid sent to West-allied forces, private military companies and ultimately the national military. The general added that the Russian military will not leave without the new challenges that emerged amid the Ukrainian crisis.